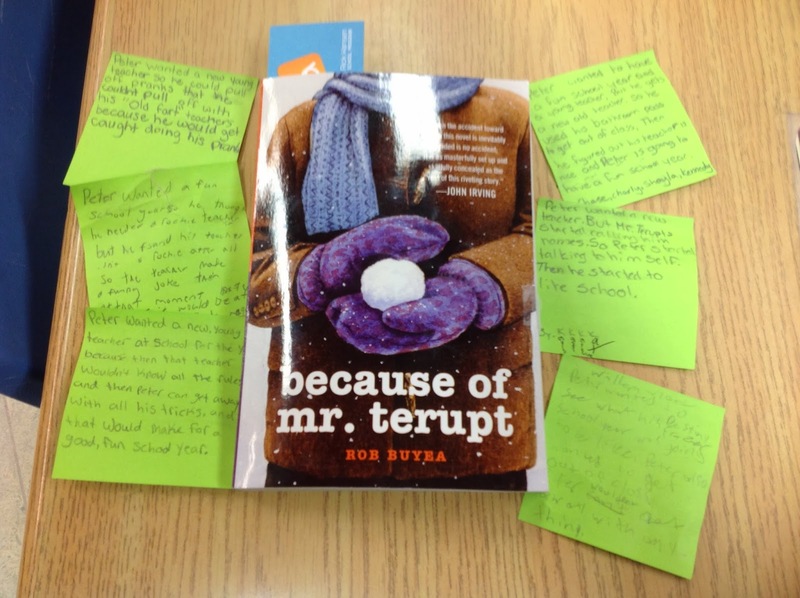 We started our new read aloud this week - Because of Mr. Terupt, written by Rob Buyea. This book came highly recommended by a few of my followers at the beginning of the year, so I scooped it up. SO glad I did - my students are LOVING it! (There's a sequel, too). We're still studying summarizing as our comprehension strategy, so I've had the students working on summaries in various ways - through turn and talks with a partner, sticky note summaries, written reader responses, and different kinds of organizers. 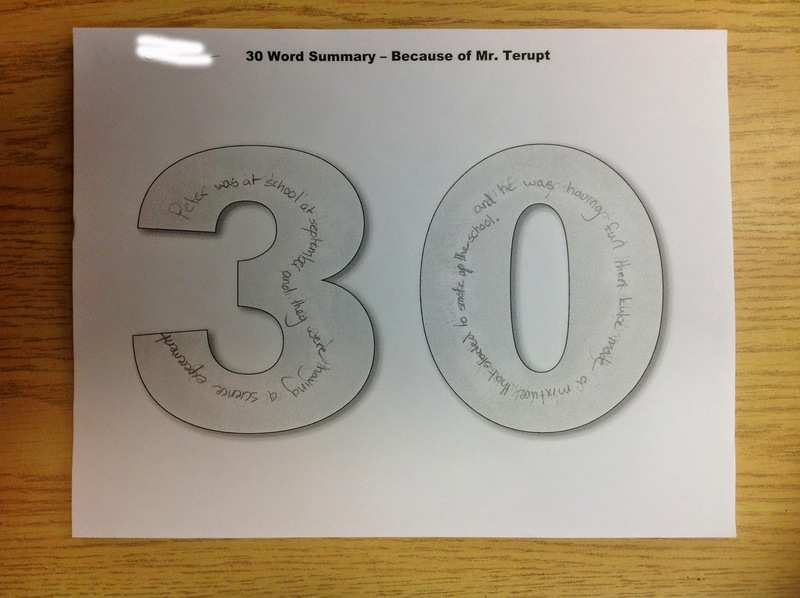 One of my favourites this week as a 30 word summary I asked my students to write - exactly 30 words, no more, no less. There was a lot of great thinking going on as they worked to add or eliminate words to hit the number target. We've also used the book to start a lot of great discussions on characterization, as the book is written from the point of view of 7 different characters. 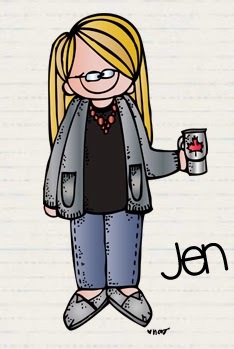 I think we'll move on to Making Connections as our next comprehension strategy as I'm pretty sure my students will relate and connect to some of the characters and situations/problems in the novel. 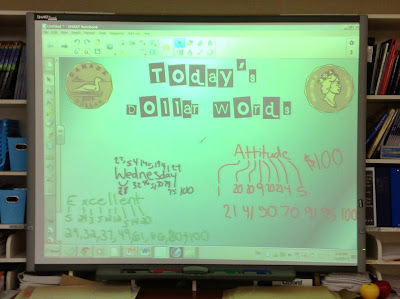 Also inspired by the book, we've added "Dollar Words" into our daily number talks. The characters in the book had a math project to find as many dollar words as they could (words that add up to $1.00 or 100 - a=1, b=2, c=3 and so on). I made a quick template page for our smartboard, and give the students 3 or 4 minutes at the beginning of each number talk to try to find a dollar word. Students that find one can share at the smartboard when they are done. 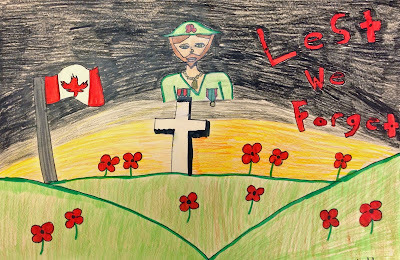 We've also been working on our Remembrance Day tribute this week. 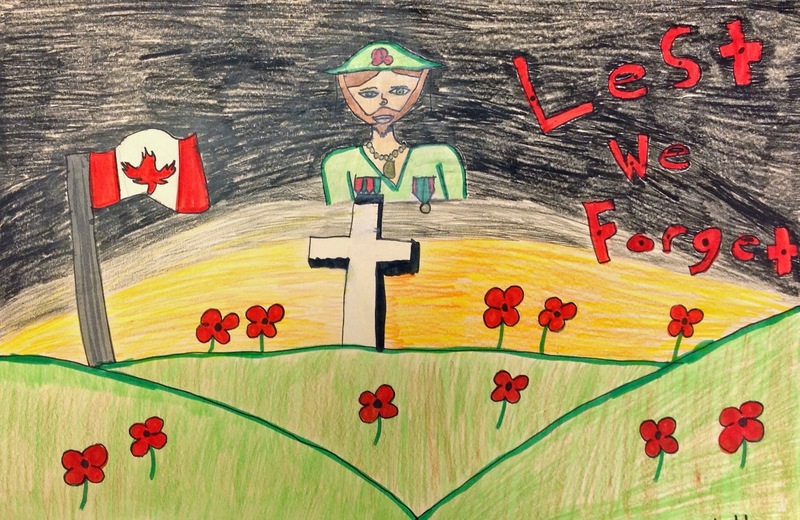 Every year my students participate in our Legion's annual Literary and Poster Contest. 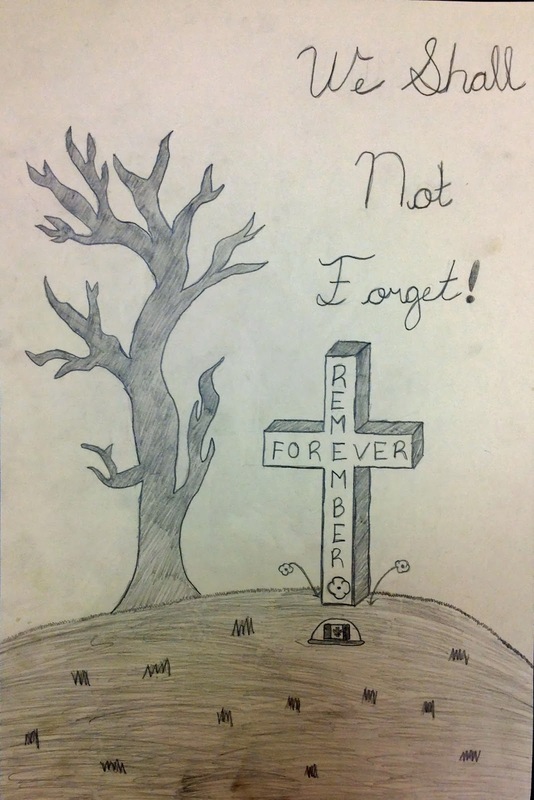 My students have been working on their posters (colour or black and white) and poems (at least 4 quatrains with a rhyme scheme) throughout the week. We've also been working on our Poppy Craftivity, but we won't finish these up until Monday. 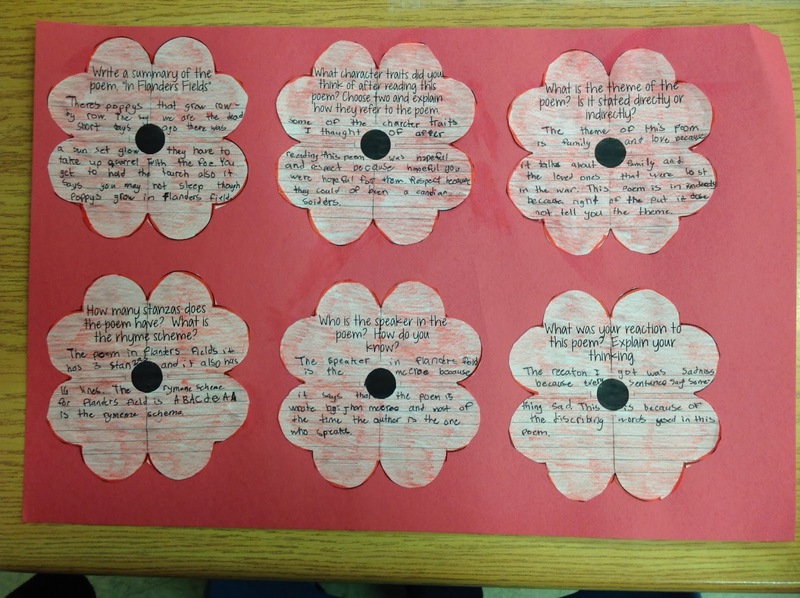 I'm going to use the poppies and copies of their poems for our November bulletin board display. I can't wait until we are all finished - they are doing such a great job! 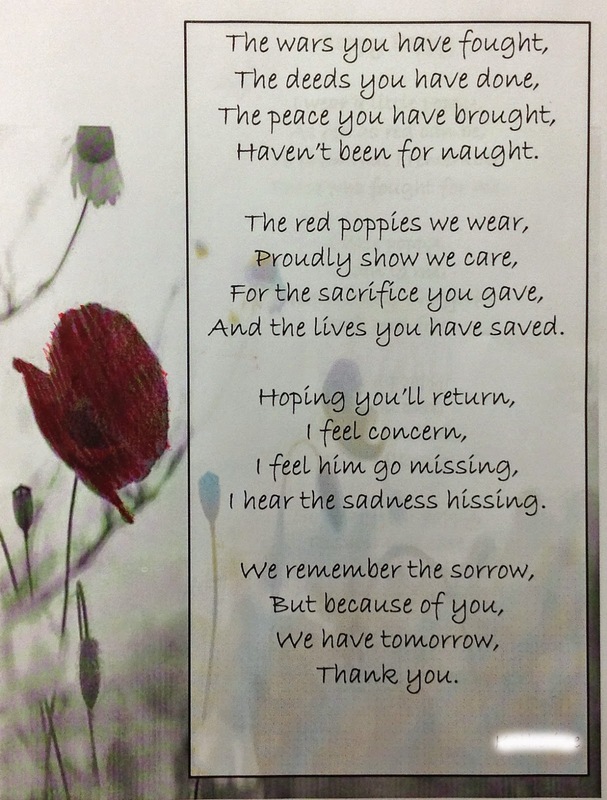 Yesterday we finished our slideshow for our Remembrance Day assembly at the school - made with Windows Live Movie Maker. 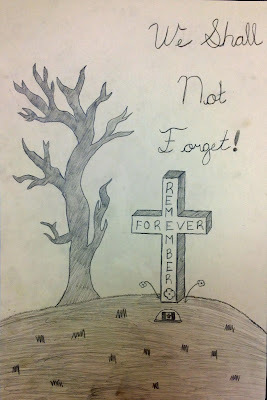 I used the students' posters in the slideshow, and had them each write one word on their hands that made them think about veterans. (Please ignore all the spelling mistakes on the posters - although I checked and proofed all the rough copies before they started their good copies, many of my students apparently can't transfer the correct spelling. Ugh.) I posted our video below - you may have to click through to youtube to watch it (it's doing something funny on my computer). Great video! Good luck on the boots, mitts, and hats. Winter is coming! Again...I love reading your blog each week. Great video! Thanks for sharing. I love that 30 words idea. It is a fun challenge for the kids, I'm sure! We have been doing the craftivity all week. 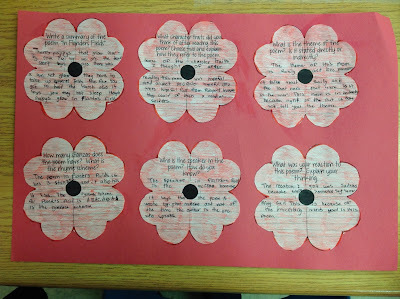 They turned out great and are going to be displayed for our school's Remembrance Day assembly. My class is currently reading "Because of Mr. Terupt!" I think it is a must to read it with dialect. Alexia gets a 'Valley Girl' voice. Jeffrey gets a slower rate of fluency, and he doesn't use 'g's on the end of words. The kids say that is the best part! I read it last year with my class and knew that it had to be read again. This group is not as into the dollar words, though I love the SMARTboard activity you created. We are also working on summarizing. It never ceases to amaze me how teachers can be teaching the same skills at the same time, yet live so far apart. When you say "read aloud", are you reading it to them, or are they reading from a classroom set? I love this book! We read it in our teacher/reader group last year. I wish I still taught 5th so I could do these activities! (especially the 100 dollar words!) I don't think my firsties would get it. Have fun with it! As an observer, I love the posters and see the sweet earnestness in your students, which makes the misspellings all the more precious. As a teacher, it grates on my last nerve when my students ignore my corrections, so I understand your "ugh" perfectly. I love the 30 words. I'm going to try this ASAP! Thank you for sharing. I love the sticky note summaries. It is a great way to present something in a non-intimidating way. for patients who could need it.You are not at all duty-bound to provide you own blood used for your needs. Registered Nurses are offered to answer your questions regarding blood donations. 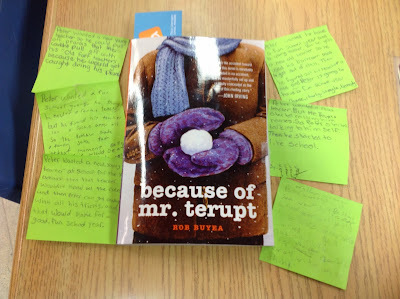 Your blog made me go out and get "Because of Mr. Terupt" and now we are doing it in my 4th grade class, too! Thay love it!